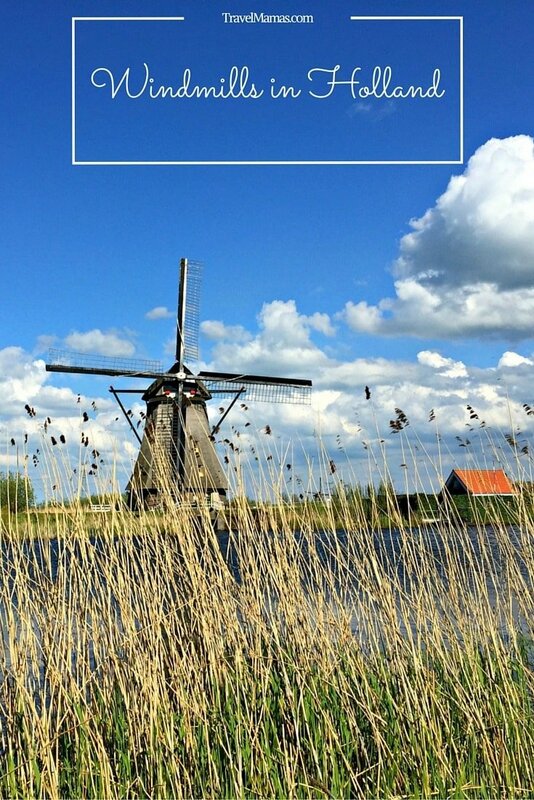 Holland is renowned for its wooden shoes, tulips and windmills. But do you know why windmills are such a big deal there? Much of the Netherlands, the region of Holland in particular, is located below sea level. Given the its position along the North Sea and with three major rivers crossing the country, this means about 20 percent of the Netherlands is at high risk for flooding. The solution? An intricate system of dykes and dams plus windmills to pump water away and keep the land livable. You can visit 19 of these poetic-looking windmills in Holland at Kinderdijk, a UNESCO World Heritage Site. If you want to get your old school Dutch windmill fix, Kinderdijk is the place to be. 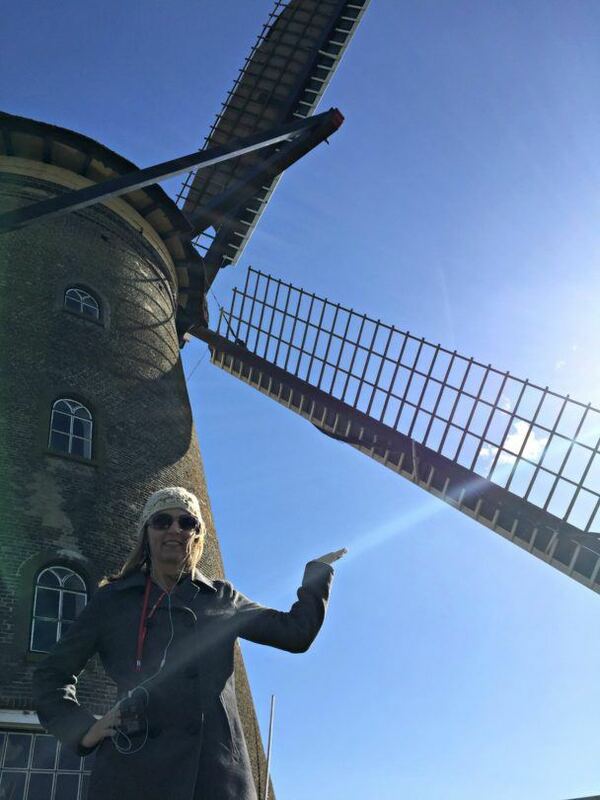 A few hours is plenty to explore this historic collection of traditional windmills, and that’s just what my husband and I got during our half-day visit to this low-lying village with Viking River Cruises. Built in the 1700s, some of the windmills are still inhabited and in-use today. Two of the Kinderdijk windmills house museums, where you can catch a glimpse of what life was like when traditional windmills were the main source of flood protection. It is fascinating to see and hear the cacophonous windmill gears spinning up close. Although the windmills may look romantic, they often proved dangerous, with the huge, heavy windmill blades sometimes taking the lives of the owners’ children, spouses and the millers themselves. Be sure to stay away from cordoned off areas for safety’s sake. You can wander along the river’s shore and snap photos of the windmills. For a longer visit, rent bicycles to explore the heritage site and surrounding picturesque landscape. Boat tours along the Lek River are also available. Be sure to stop in to the onsite gift shop to pick up some traditional and affordable Dutch souvenirs. Although technological advances have made the use of windmills for flood management unnecessary, there are still over 900 traditional windmills in the Netherlands today. Some of these were used for industry like grain grinding, rather than water displacement. Reinforced locks and levees, a massive pumping station, as well as two giant gates taller than the Empire State Building protect the country’s populace from severe flooding in this time of worldwide rising water levels. Modern day wind turbines are being added to the country’s landscape now as a source of energy, instead of as protection from flooding. There is a saying, “God created the Earth, but the Dutch created the Netherlands.” Before my visit, I knew that windmills were synonymous with Holland, but I really didn’t understand why. 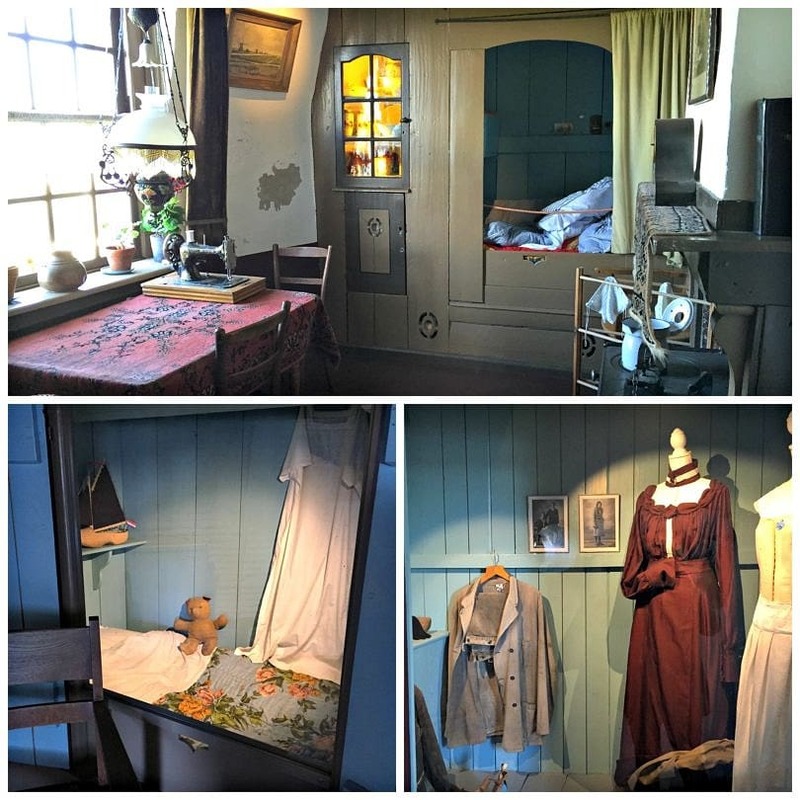 The Dutch inventiveness and resolve is nowhere more clear than at Kinderdijk, where you see firsthand how this populace looked at the seemingly insurmountable task of living with the constant threat of floods that ruined homes, farms and businesses, and spread disease. 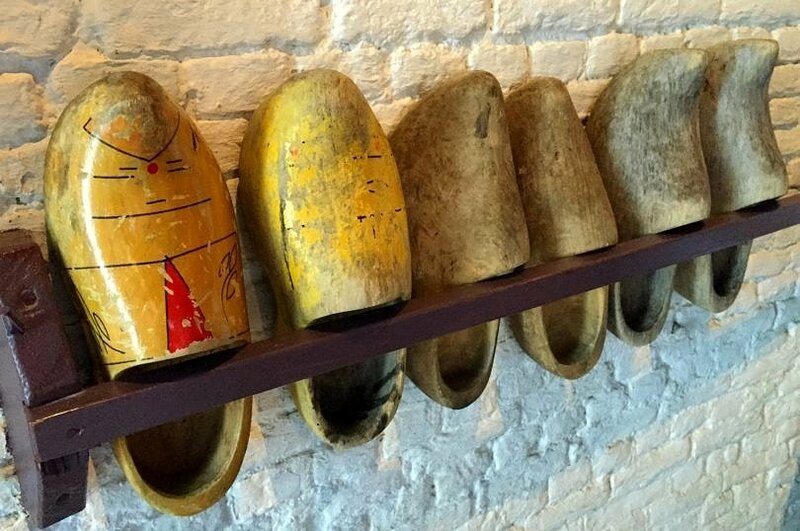 The Dutch didn’t sit around and complain, they put on their wooden shoes and got to work creating a solution. By diverting water, they have created more livable land for their countrymen. Exploring the windmills at Kinderdijk brings the history and steadfastness of the Netherlands to life. 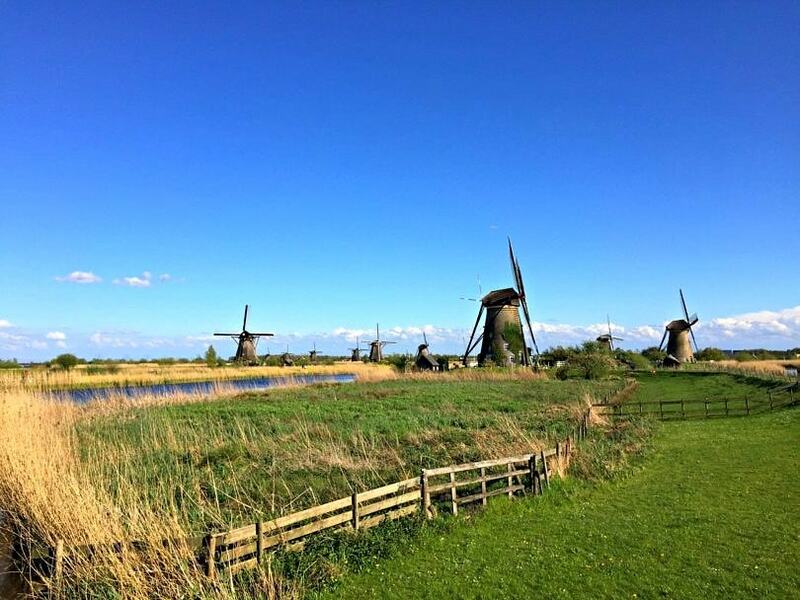 Have you ever visited windmills in Holland? Is this on your bucket list? Let us know in the comments below! This is very interesting. Determination of these people led to their inventive ideas. I suppose that’s always the way! It’s amazing how seeing something like a traditional Dutch windmill in-person teaches such a better lesson than simply reading about it in a book! This is really an exciting to visit windmills. I would like to see these windmill in real. They really looks very romantic. I loved this post. Thanks Colleen for sharing. Thanks, Carrol. I hope you get a chance to see the traditional windmills of the Netherlands in-person someday! Looks so gorgeous! May need to add it to our 2017 Europe itinerary! Ooh! I hope you do, Amy! I love Holland and of course, I love the windmills. I knew about their purpose, but besides being extremely useful, these add to the landscape beauty and make you want to live there forever. John – Thank you for your comment. Kinderdijk really was so picturesque! Renting bikes and biking alongside the windmills sounds like a lot of fun. Tamara – Yes! I wish we’d had time to add that into our Kinderdijk adventures! So beautiful. This looks like a no-fail spot for photographers. Or maybe I’m just an incredible photographer! Totally kidding – Kinderdijk really is a photographer’s dream!